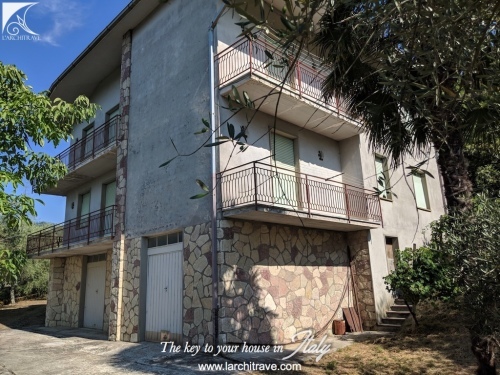 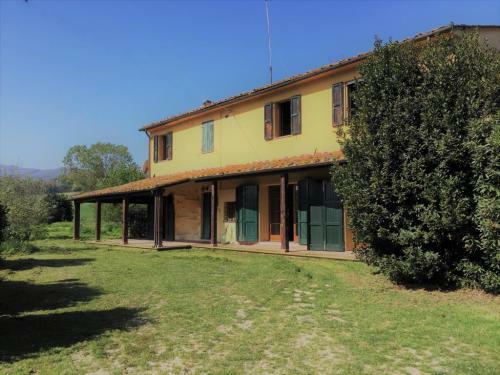 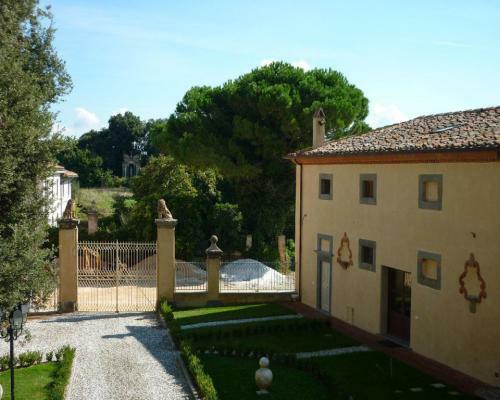 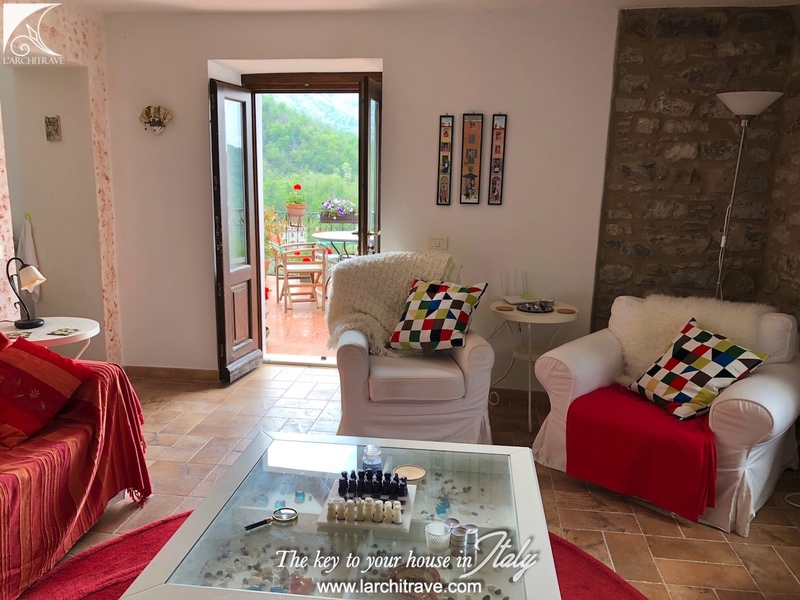 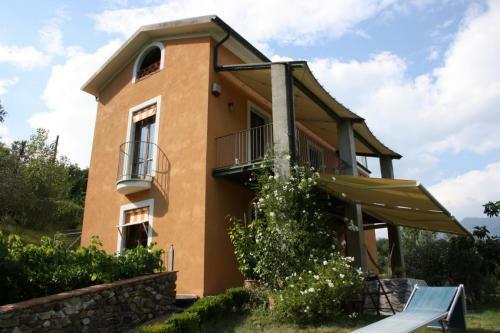 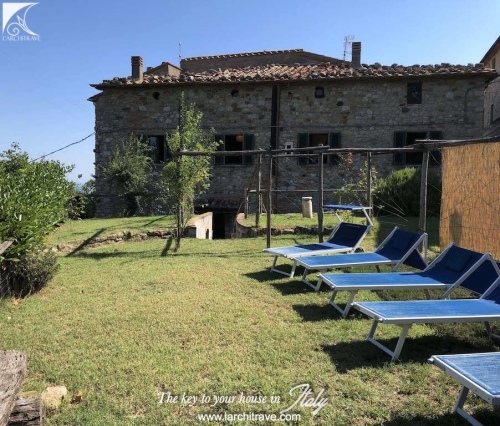 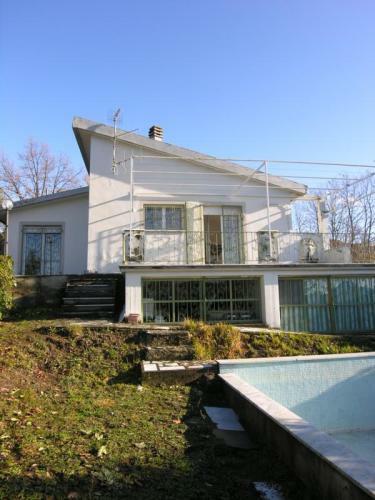 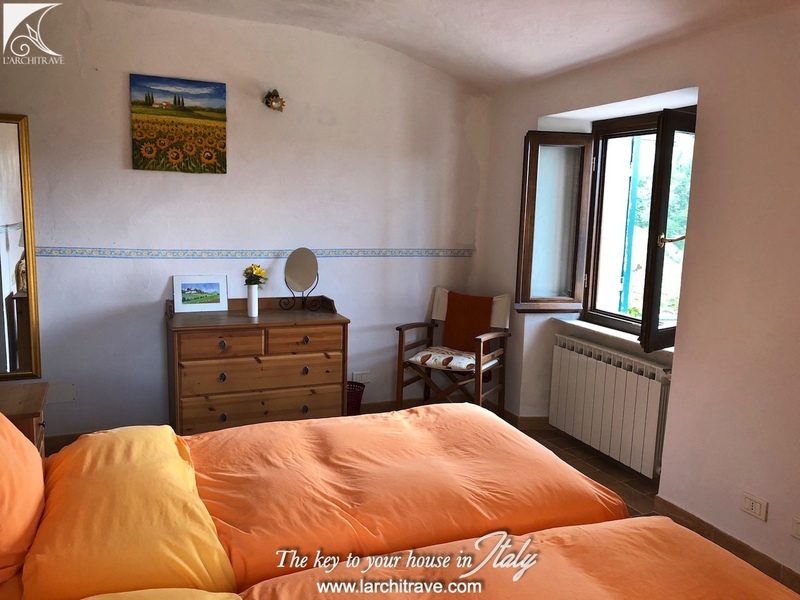 Charmingly restored Tuscan village house with 3 bedrooms and 3 bathrooms as well as large terrace with stunning views. 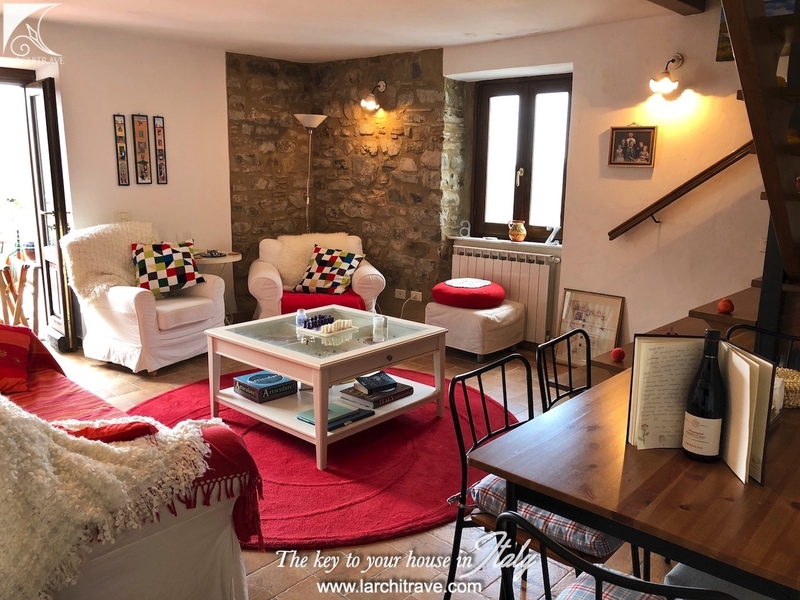 This character village stone house has been restored to a high standard using local materials such as a hand-made chestnut wood kitchen, marble sink and work surfaces, terracotta floors and chestnut wood doors and window frames. 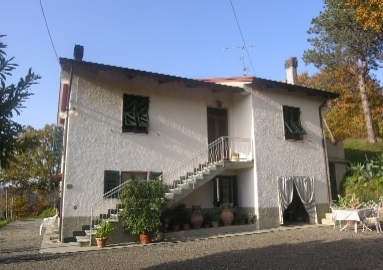 The property is entered off the village lane near the entrance to the village, and comprises: kitchen with large fireplace, Carrara marble sink and worktops and hand-made chestnut units, light double-aspect living-room / diner with french doors opening to a large terrace with magnificent views of the Apuan Alps and valley. 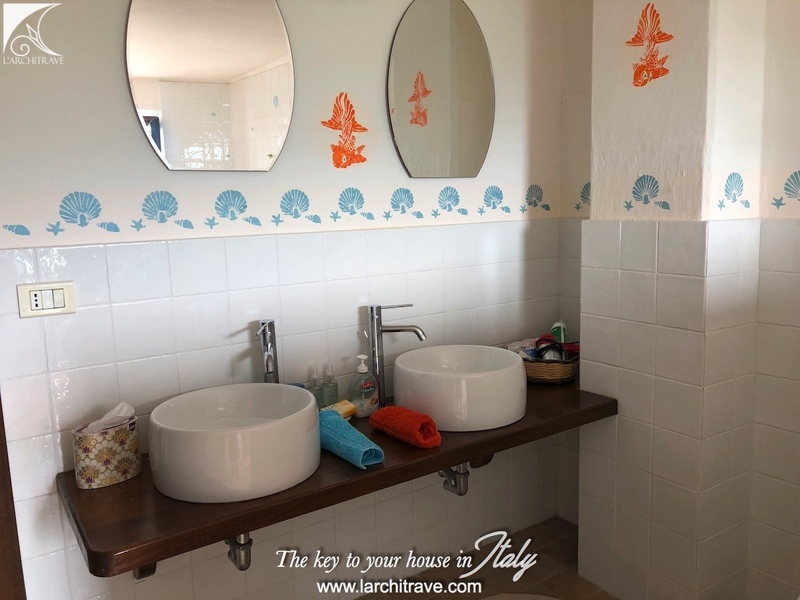 Downstairs there is also a double bedroom and bathroom with shower. 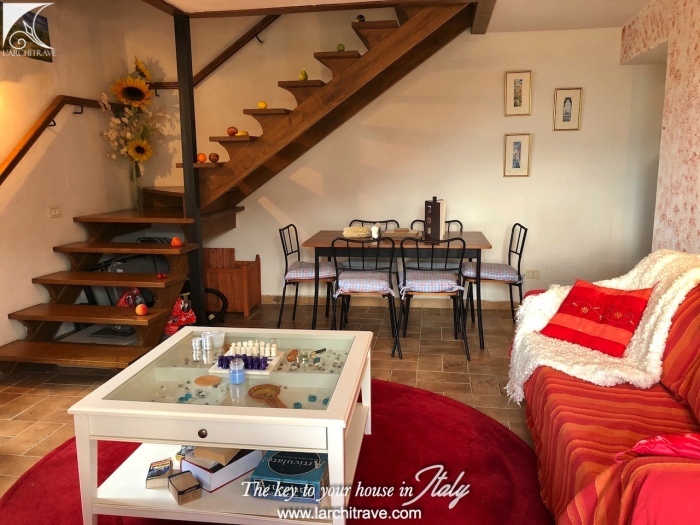 Upstairs, there are a further two double bedrooms - both with walk-in wardrobes and one with ensuite. There is a further bathroom with an unusually-shaped built in bath, separate shower and twin sinks. 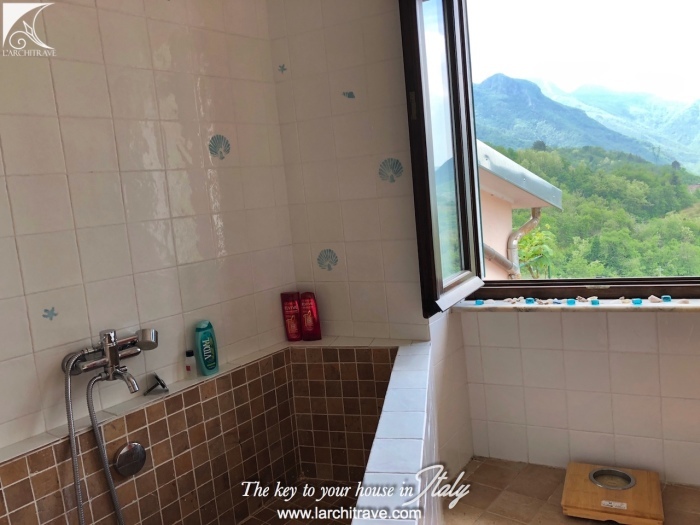 A utility area with plumbed washing machine completes the upstairs. 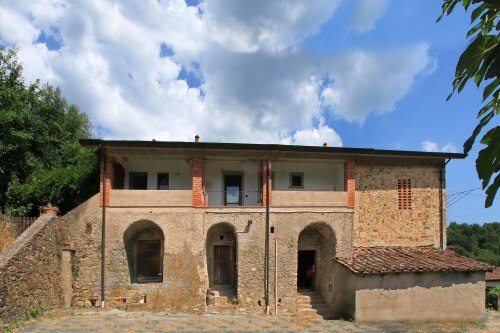 Accessed from the outside village lane is a cantina (cellar) for storage. 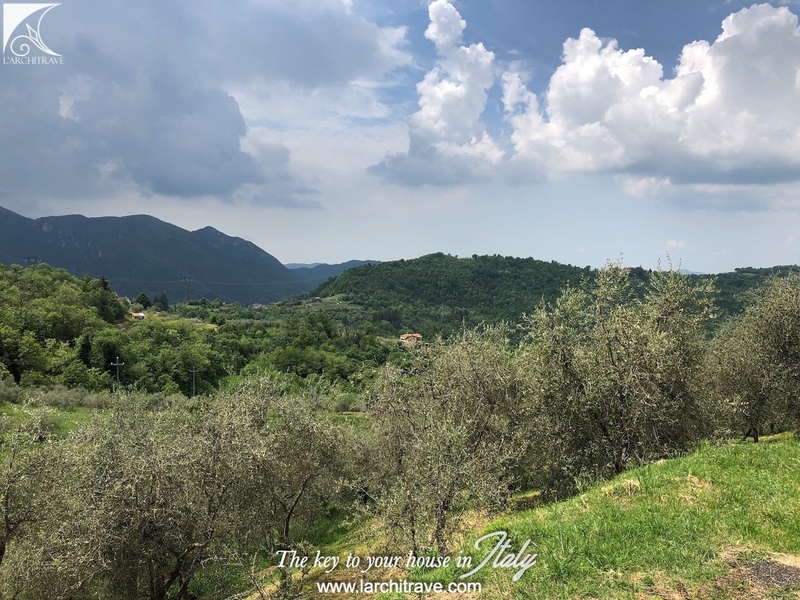 There is free parking along the lane approx. 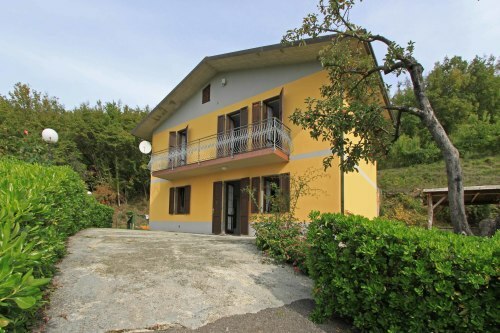 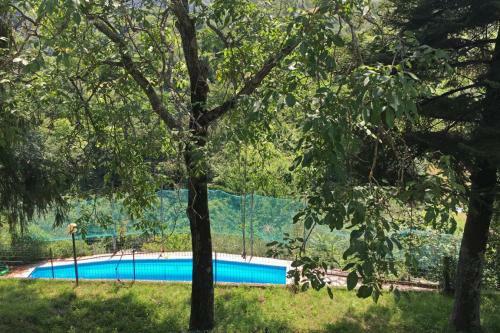 50m from the property and also a free car park for the village. 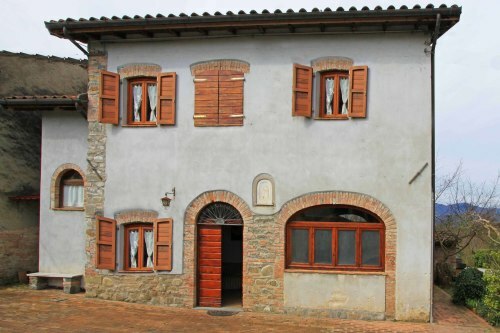 There is a bakery in the village and only 3kms away, down the hill in Codiponte, is a bar, grocer shop and butcher. 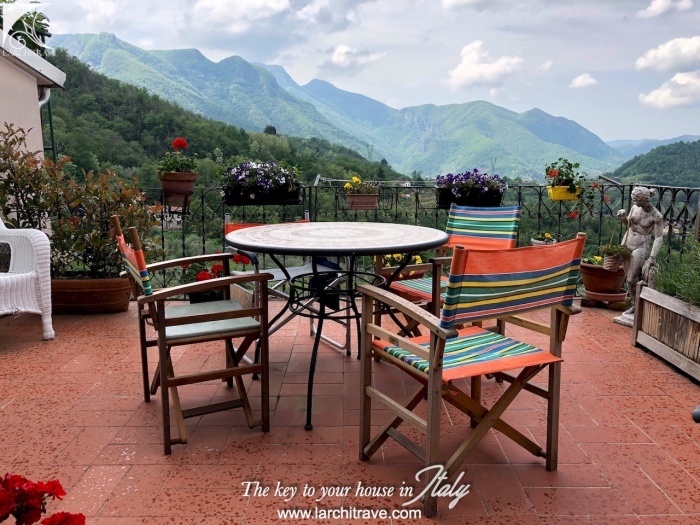 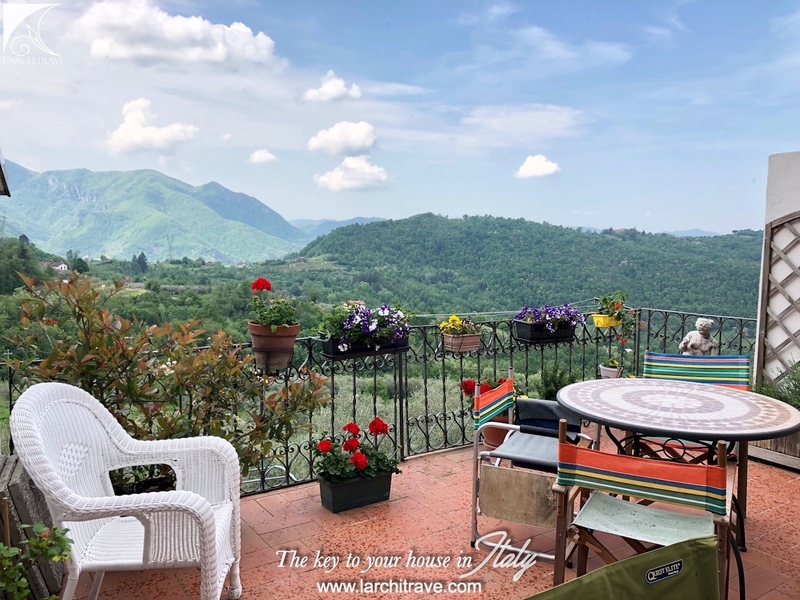 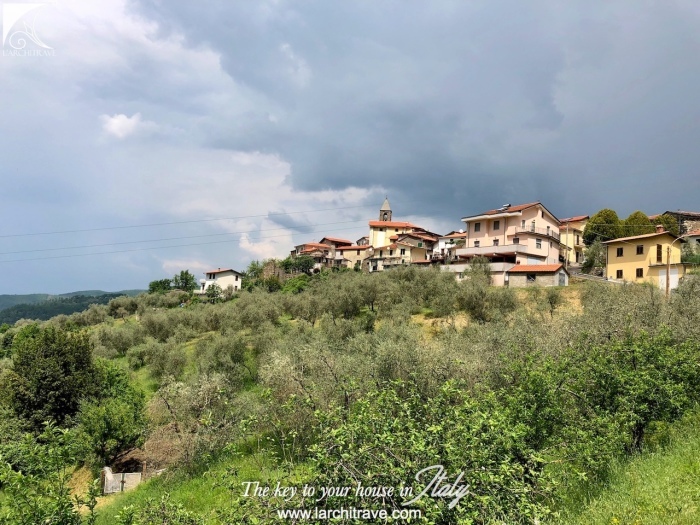 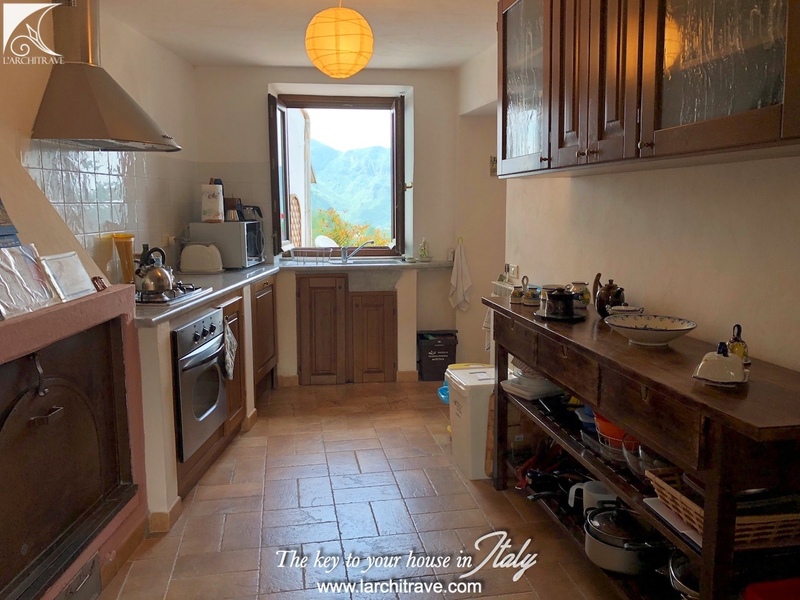 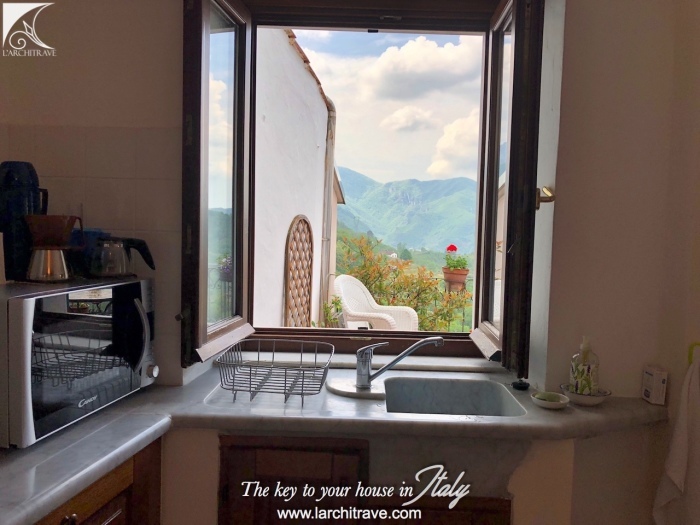 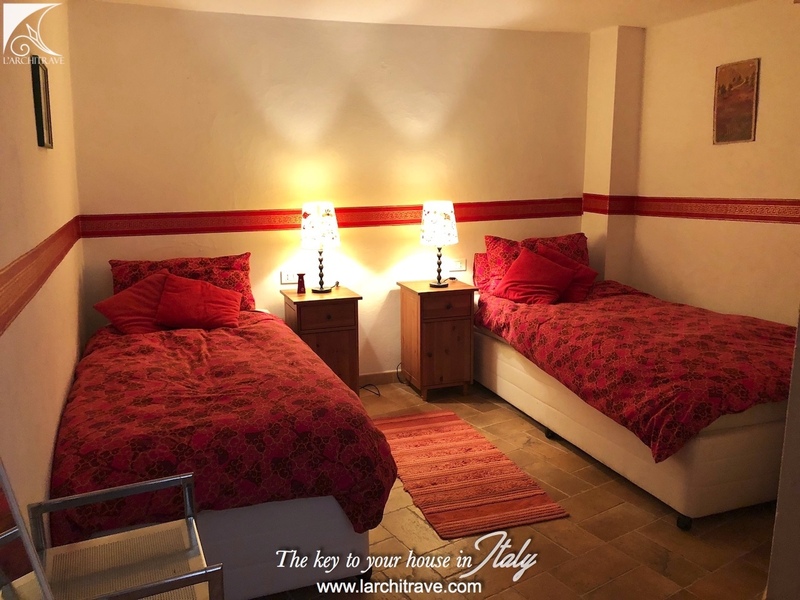 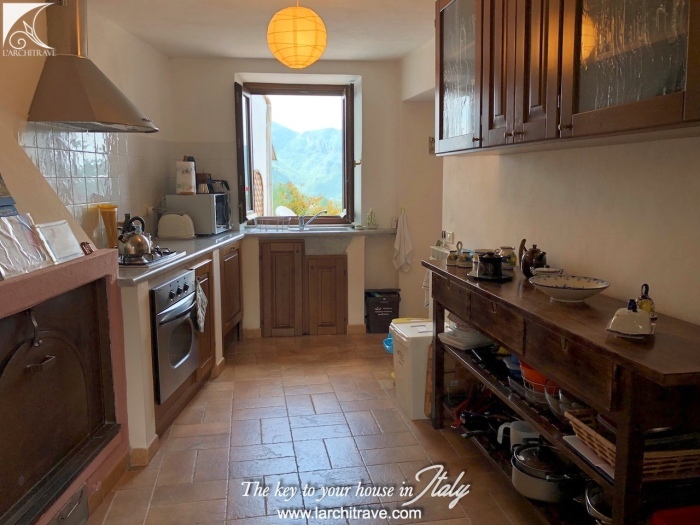 There is also an excellent restaurant 3 kms away in the village of Monte de' Bianchi which is renowned in the area for its food, own wine and beautiful views.